Are you interested in connecting to shoppers that are passionate about social good? Do you love meeting and collaborating with other social good entrepreneurs? 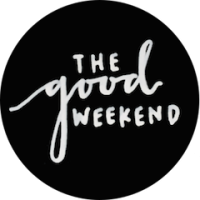 Here at The Good Weekend, we connect social good companies to their ideal customer through a shopping experience that builds community and supports both local and global initiatives. Our weekends bring together a host of social good companies and provides an environment for collaboration and exploration. The Good Weekend draws customers that are likely to become champion customers of your brand and advocate for you in their social circles.